Tissot is a Swiss luxury watch company, founded in Le Locle, Switzerland by Charles-Felicien Tissot and his son Charles-Emile Tissot in 1853. Tissot introduced the first mass-produced pocket watch as well as the first pocket watch with two time zones in 1853 and the first anti-magnetic watch in 1929–30. Charles-Emile Tissot left for Russia in 1858 and succeeded in selling their savonnette pocket watches across the Russian Empire. 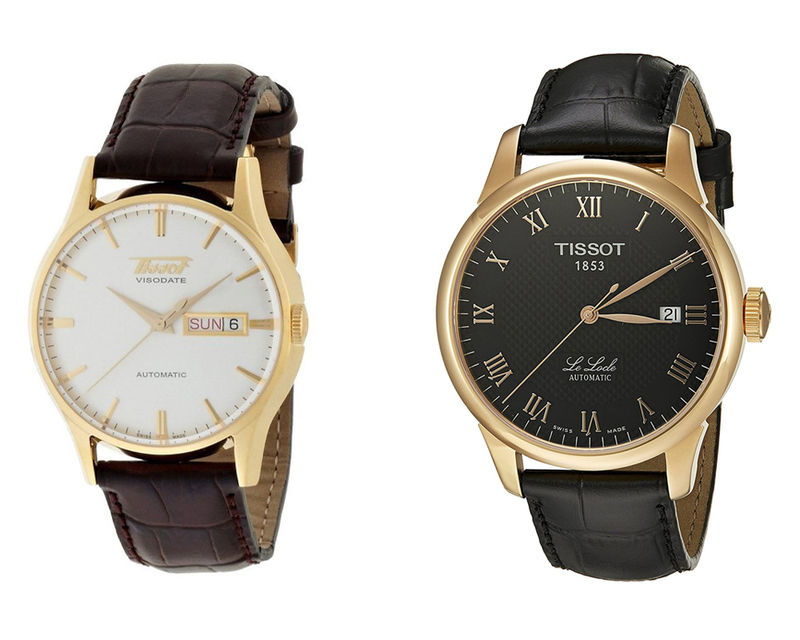 The Tissot company was also the first to make watches out of plastic (IDEA 2001 in 1971), stone (the Alpine granite Rock Watch in 1985), mother of pearl (the Pearl watch in 1987), and wood (the Wood watch in 1988). Tissot merged with the Omega watch making family in 1930 and Tissot-Omega watches from this era are sought after by collectors. If you are the people who looking for watch and your choice are Tissot, but you are confusing should buy Visodate or Le Locle which one you should buy? Take a look : Tissot Visodate vs Hamilton Khaki. Start from the Tissot Visodate materials is classic stainless steel watch featuring white dial with simple baton indices and day/date window at three o’clock. Tissot Le Locle material is stainless steel case with a black leather strap. The water resistance has the same classification to 30 m (99 ft). Visodate’s engine ETA 2836-2 it has power reserve until 42 hours while Le Locle’s engine is ETA 2824-2 it has power reserve until 38 hours. The another design of Tissot Visodate’ feature is double clasp it prevents pickpockets from slipping your watch out of your wrist. This watch has to be pulled out through your hands to be removed much like those watches with stainless steel bracelet. In Le Locle, the original band with the development clasp has been retired, the band that made by leather it can be last as for years. It’s okay if you want choose one of the series of Tissot, it’s same brand by one manufactured actually has the same quality. The design is overall similar has the classic style, it is a timeless classic and elegance watch. If you are the people who like to the watches that has the power reserve until 42 hours you can go with Tissot Visodate. The advantage for you is, you can get the bargain watches enough with the best value quality and best material in. I hope this article can helps you to make your choice.